We're a small batch ice cream company that makes unique and classic flavors from quality ingredients, sourced locally when possible. We spin our own flavors fresh on site, serving up smiles, one hand-crafted scoop at a time. Coming to Fredericksburg in 2020! 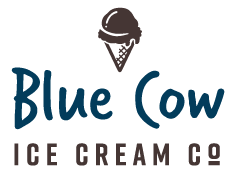 © 2019 Blue Cow Ice Cream Co.. All Rights Reserved.